Speed goes extreme and stunts get even more stunning in this ultimate test of Team Hot Wheels! 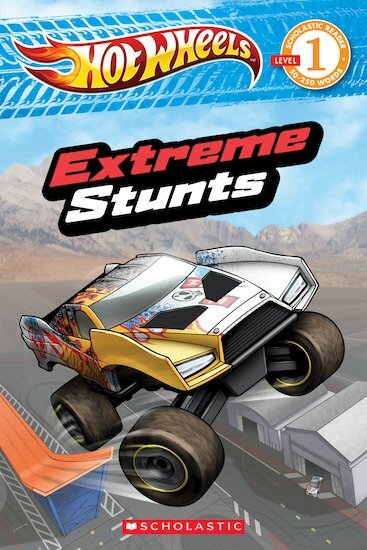 Follow the daring drivers as they try out the biggest and baddest stunts they can find. No challenge is too tough for the fearless team, who combine precision, speed, power and courage to create an extreme dream team! Race through the pages, reading about the incredible tricks they tackle and the dangers they face. One thing’s for sure: Team Hot Wheels won’t rest until they master every stunt you can imagine!